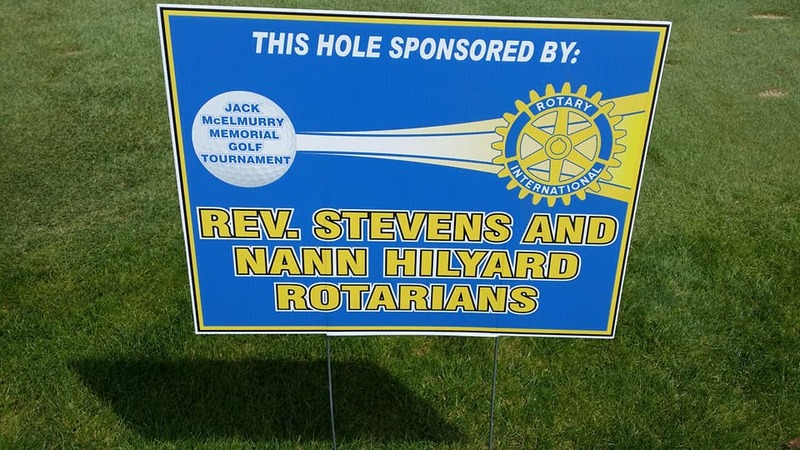 We are among the major sponsors (and we also get a hole sponsorship sign). I donated a quilt to the live auction and two tote bags with books to the bucket raffle. The woman who got the quilt has been the successful bidder in previous years. I posted a picture of the two tote bags last week. On Saturday Stevens and I made a quick trip to Sheboygan, WI, for the Rotary District 6440 Awards Luncheon. (Left at 9 a.m., got home at 4 p.m.) The Green Bag Project sponsored by our club won the annual Community Service Award. But that was after The Big Event of the weekend. I finished the project you see in the wedding-watch photo. It is Part D of my May One Monthly Goal -- a tote bag for the chair of the P.E.O. committee that I serve on. P.E.O. 's flower is the marguerite, or daisy. The daisies are made from the same pattern as the mug rugs I wrote about last week. There are three daisies on the other side and one daisy on the inside pocket -- seven daisies for P.E.O. 's seven founders. A busy weekend for you, but well worth it. The photo of the bag caught my eye. I love it. You've had quite an exciting week! 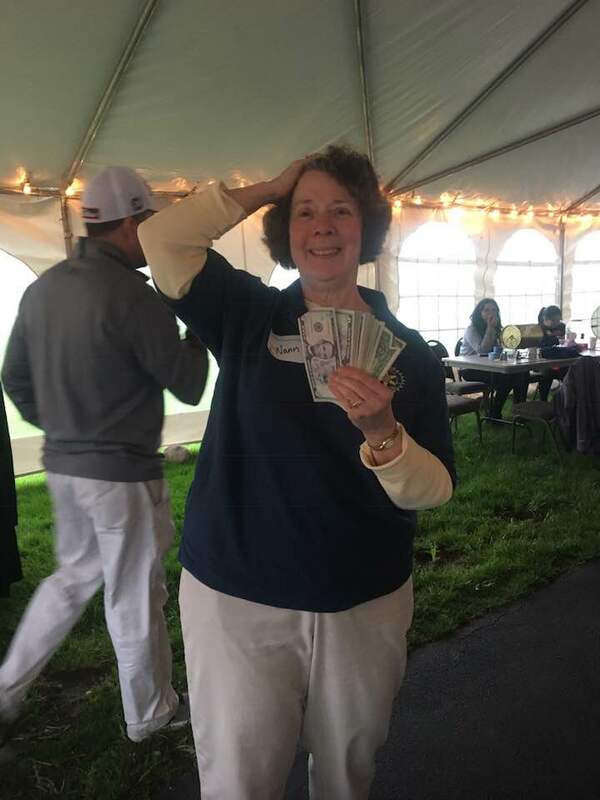 Congrats on your winnings!!! Love the tote bag. I love the little daisies on the cute tote! Congrats on your win! Really fun daisies there. I watched bits and pieces only of the wedding, but caught up all the fashion and beauty on IG. My husband taped the wedding but I haven't had the chance to watch it yet. You did very well with your winnings! Lucky you! That's a very pretty tote you finished. I'm sure she will like it!